In 2017 my friends at Gossamer Gear sent me a Vagabond day pack to test out. Like most of my possessions, I used and abused it discovering that it’s a solid little backpack (spoiler alert). I quickly wrote and published a stellar review. But despite singing its praises, I didn’t really dig into why I liked it. Likewise, I didn’t mention the few things that I think could be improved upon. So, I’ve decided that after a bit of time and a lot more use, I’d update my review of the Gossamer Gear Vagabond, and lay out how I use this pack and any pros and cons I’ve experienced. But first, let me tell you a little bit about the company itself, and why it values innovation and thoughtful design. 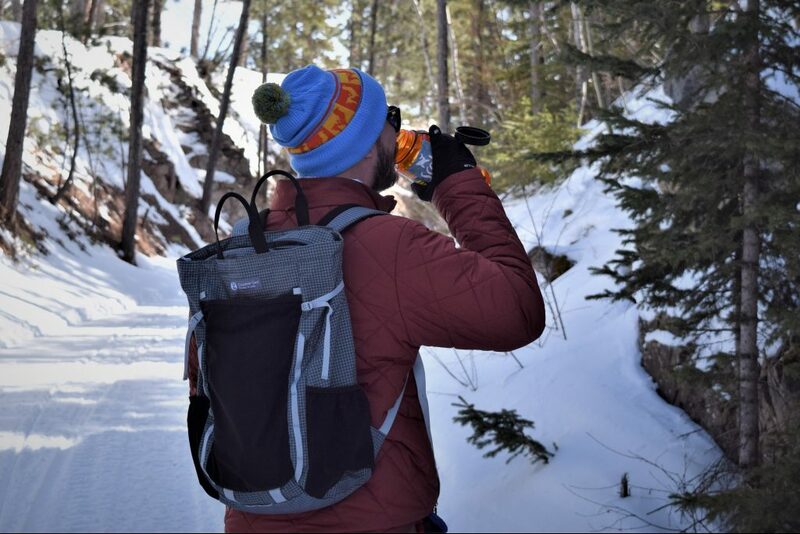 Gossamer Gear’s tagline states, “Take less. Do more.” I respect that philosophy, and in many ways, it encapsulates what the company is all about. For over 20 years, they’ve been making better and lighter packs. I like to say that their gear is made by backpackers for backpackers — and they love what they do. Everyone working for and with the company is passionate about backpacking, and they want to share that with as many of us as possible. That’s why they create innovative ultralight gear as well as why they teach and preach lightweight backpacking. That means that when you buy a pack from Gossamer Gear, backpackers designed and created it. Not people who have never slung packs. Of course, the Vagabond isn’t made for thru-hiking, but you can count on the same thoughtfulness and innovation going into this day pack. So let’s dive into the specs. At first glance, the Vagabond is a pretty simple 23L backpack. Don’t let that simplicity fool you though — this pack has a lot to offer. Constructed of strong but lightweight ripstop nylon, the Vagabond strikes a nice balance between capacity and size. The straps and the back panel have firm padding that keeps you comfortable, even if the contents shift around while hiking. The padding on the back leaves an opening along the spine — this allows a nice level of airflow in the summer, so your back doesn’t feel quite so overheated. The main zippered compartment provides decent capacity for a day pack, and once you add the two side pockets (large enough for most water bottles, though my Nalgene pops out sometimes) and a sizable mesh front pocket, and you’ve got enough space for a everything you need for a long day of hiking, commuting, or traveling. Inside the main compartment you’ll find an inner stash pocket and a sleeve for a hydration bladder or a laptop, depending on what you’re doing. You also have lots of options for attaching extras with daisy chain lash points. If you’re keeping a low-profile getting on or off a plane or public transport, or just don’t have the room to sling the bag onto your back, you can carry it with dual tote handles at the top. 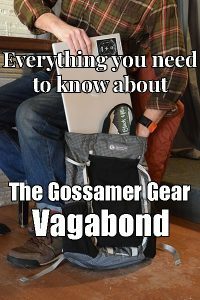 Since I received my Vagabond, Gossamer Gear has made some design changes to the pack, which I consider improvements. The first is that they’ve added an outer zippered pocket, so you can easily access keys, or anything else that you might need. They’ve also added pockets on the shoulder straps, and while I haven’t used one of these upgraded packs myself, I always find those easy to reach pockets and pouches incredibly helpful. I’ve carried this pack on a number of day hikes, and a couple of short overnighters. It makes an excellent day pack, but its capacity limits its usefulness for overnight trips. 23 liters doesn’t offer a lot of space for my current camping gear, but if you own a kit that packs smaller and lighter, you probably won’t have a problem with the size for a single night. The other problem with camping in this pack is that while the Vagabond has a sternum strap to help disperse the pack’s weight, it’s missing a waist strap. While not always necessary on a day pack, I really LOVE having one, especially if I’m going to food, water and a sleep system. You can raise and lower the sternum strap, which helps alleviate the problem, but I think that including one would add a lot more utility to this pack. While the Gossamer Gear Vagabond isn’t the perfect pack for overnight trips, keep in mind that it isn’t meant to be. It was designed as a multi-purpose day pack, and that’s where shows its mettle. 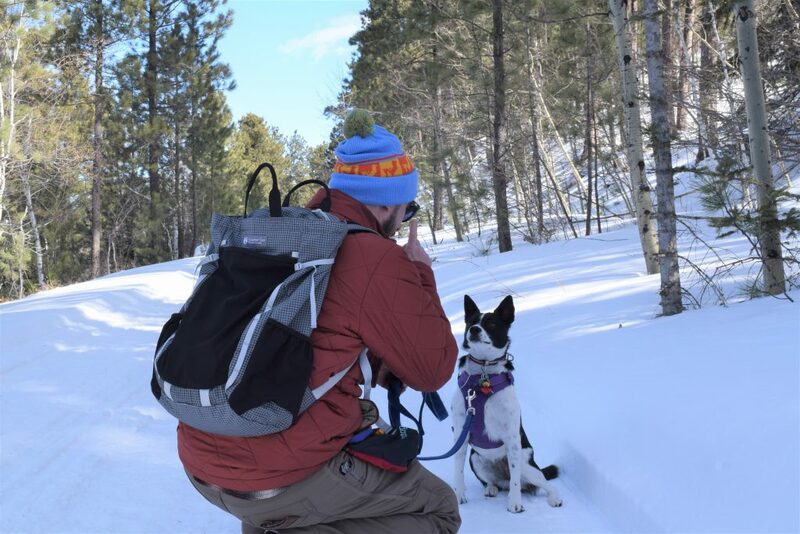 While out for less than ten miles, the waist strap isn’t needed and the padding on the back and straps keep you comfortable as you hike. I can carry everything I need in the Vagabond — an extra layer, rain gear, first aid kit, water and snacks for Clarissa, Inkling, and myself, and more without feeling burdened. The Vagabond stands up to rocks, mud, tree branches and thorns. I’m not gentle on anything I own, and I’ve had zero rips or tears. I’ve gotten it muddy a few times, but it cleans up easily enough and still looks sharp. 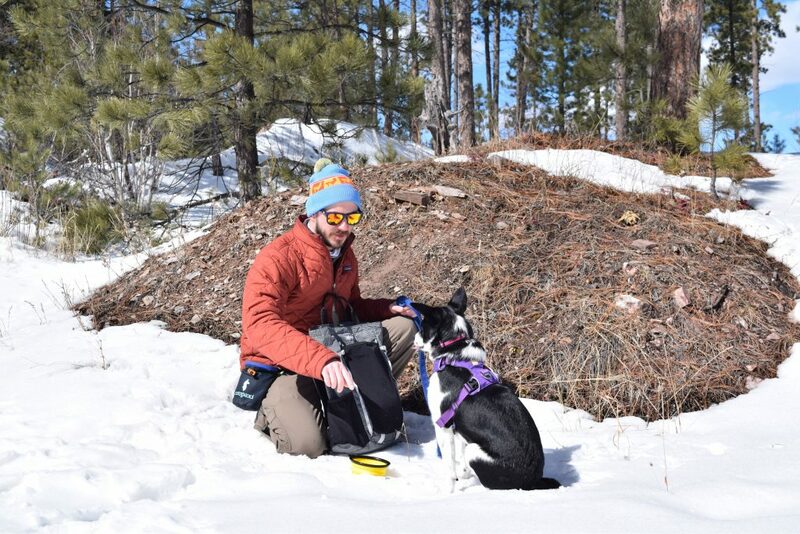 You can trust this pack to take care of you on the trail. When I look back at how I’ve used the Gossamer Gear Vagabond, it has truly shined when I’ve traveled with it. It has enough capacity to carry almost everything you need on an airplane, while remaining small enough to fit as carry-on. I’ve flown with it three or four times and have never had a problem with it fitting in an overhead compartment or under the seat. 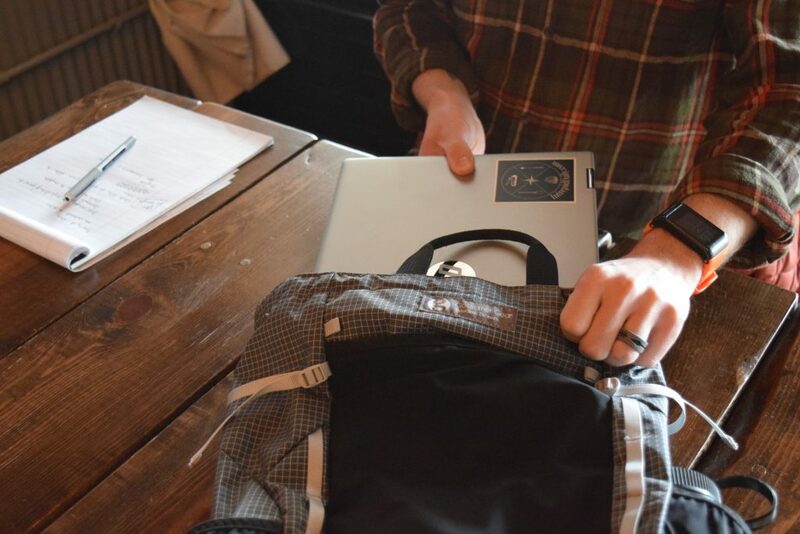 The sleeve where you can keep your laptop rests against the back padding and doesn’t go to the bottom of the bag and, so you don’t have to worry about damaging your computer when you set it down. 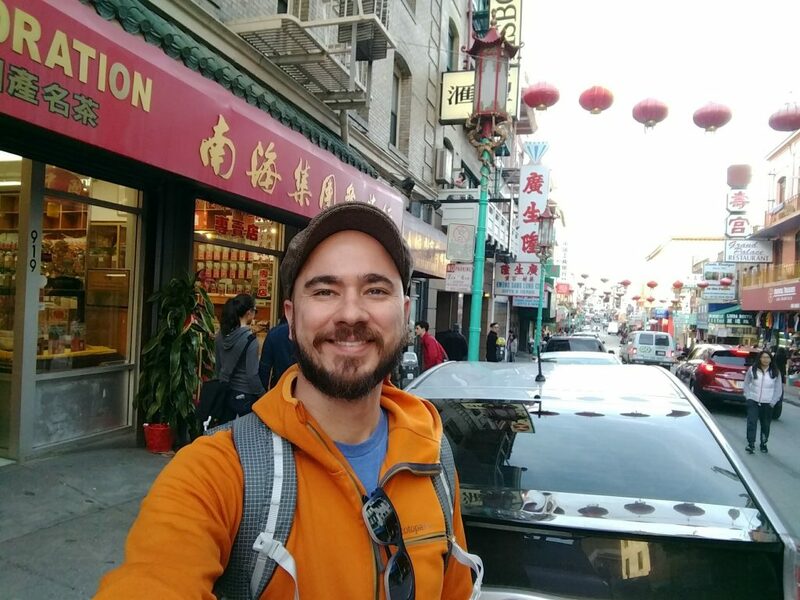 Likewise, it makes an excellent commuter pack on trains or buses, which I discovered during my last trip to California when I hopped the train into San Francisco and spent the day walking around Chinatown. I carried notebooks, my Chromebook, my jacket, and assorted other odds and ends without any trouble. 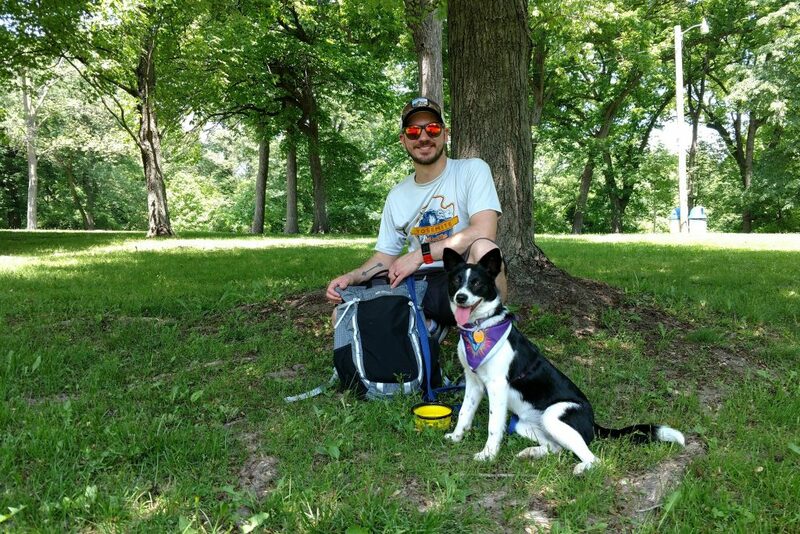 For me, where I’ve gotten the most use out of the Gossamer Gear Vagabond is when I need to haul a fair amount of stuff around with me to meetings, or just to sit down and get some work done. I’ve learned that the best way to work remotely means getting out of the house. To work effectively, I often need a fair amount of material, my laptop, occasionally an external hard drive, and associated chargers. 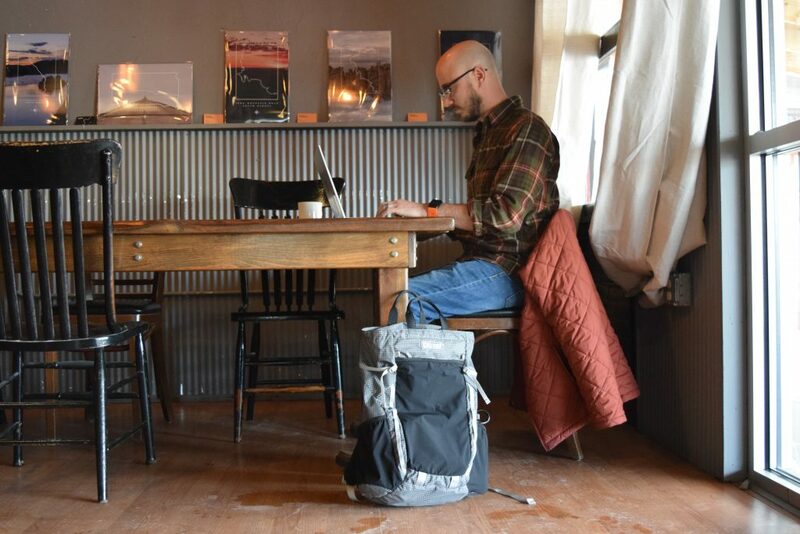 Having a pack that easily, comfortably, and safely accommodates all of my stuff makes it easy to work from the local coffee shop before meeting a client. It looks sharp and cleans up easily, so I know I’ll look professional even if I took it hiking the day before. If you’re someone who likes lists, here’s a neat little pros and cons list for this pack. 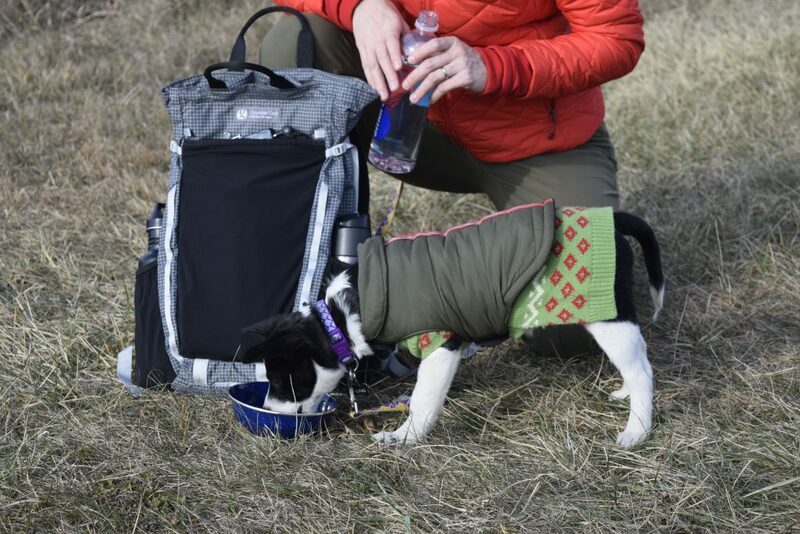 It’s made of high quality materials, has secure zippers, and can accommodate a hydration bladder or a laptop. The padded back and straps are extremely comfortable. 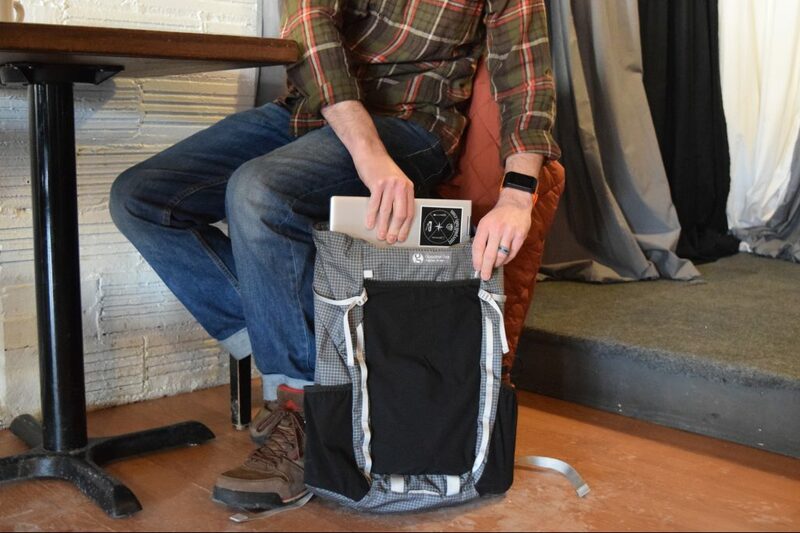 The Vagabond looks sharp, so you can use it on the trail, while traveling, or just while you’re working around town. It’s the perfect size for carry-on, and the dual tote handles on the top make it easy to carry in tight spaces. Lots of attachment points for extra cargo outside the pack increase its utility. The Vagabond is an all-around solid pack that looks good and is comfortable for a number of uses. The dual tote handles on mine are just a little too long, and they touch the back of my head at times. Obviously this isn’t a huge problem, but if it’s a deal-breaker for you, be advised — on the updated Vagabond, these handles have been shortened, so if you’re shopping for one, you probably won’t have this problem. If you use a hydration bladder with this, you may work the zipper open a little bit as there isn’t a separate opening for the hose. While the chest strap helps redistribute weight off of the shoulders, if I have a lot of gear with me, I’m going to want a waist strap. The pros easily outweigh the cons. One of them has been resolved by Gossamer Gear, and the other two are pretty subjective. I’m pretty confident when I recommend this pack, but if you have any concerns you can always return the bag within 30 days for a full refund (if it’s in the same condition as when you bought it, so test it out around the house). 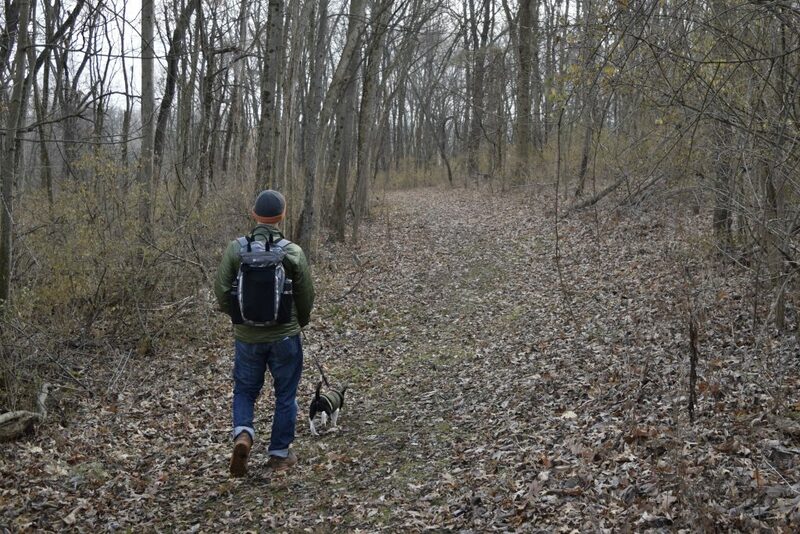 The great thing about the Vagabond isn’t that it’s the perfect pack for any single situation, but rather that it does so well in a variety of them. The Vagabond’s $119 price tag would be overpriced for a simple day pack, carry-on luggage, or every day carry bag — but not for a high quality backpack that does all of the above and looks good doing it. If $119 still seems expensive, consider that if you bought a bag for each of those purposes, you’d easily spend more than you would buying the Vagabond. 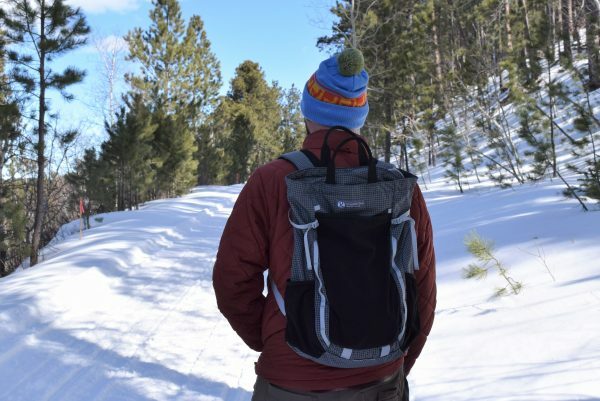 If you want a single purpose backpack, the Gossamer Gear Vagabond will serve you well. But where it truly shines is in its ability to handle any situation you find yourself in. From the trail to city street, you can count on this pack to carry everything you need.